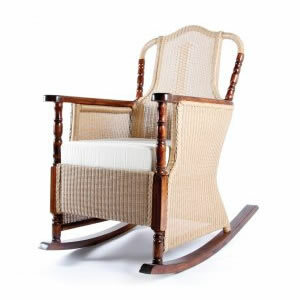 This Lusty Lloyd Loom Model 76R rocking chair, widely known as the Mississippi Delta Rocker, is a very established design and can be found on many verandas in the Southern States of the USA. Evocative of the colonial style the Model 76R is a large comfortable rocking chair with a gentle rocking action. Designed by Geoffrey Lusty.